Gideon Augustine: "What a young boy in life do to suffer like that?" "I love him, I miss him, night and day I am crying", said Leon "Eddie" Augustine about his son Gideon when the SUN spoke to him and was wife Agatha Boston-Augustine last week after the vehicular accident that cost Gideon Augustine, 20, of 71 Cork Street his life. The vehicular accident occurred in Layou on September 4. If you are familiar with Escape Bar and Grill's Lounge on Cork Street you will remember Gideon for his impeccable customer service and of course his amazing concoctions such as the Chocolate Affair. But his parents and siblings will forever remember him as a loving, jovial, energetic son and caring brother. His mother, Agatha, recounted one of her fondest memories of her son from his early childhood. She said that at an early age Gideon, like her other children, were taught to pray and one day upon arriving home from work she found Gideon praying. She said whilst walking up the hill to their Fond Cole home she had a severe headache. "It was a Sunday and I walked up the hill and my head was actually bursting; when I reach he saw me, he said Mammy you sick. I said 'yes, Mammy head hurting bad'. He came and rest his hands on my forehead and said 'Jesus heal Mammy head for her'", she said. She said Gideon was a loving son and he did not want to see anyone sick or in pain or hungry. 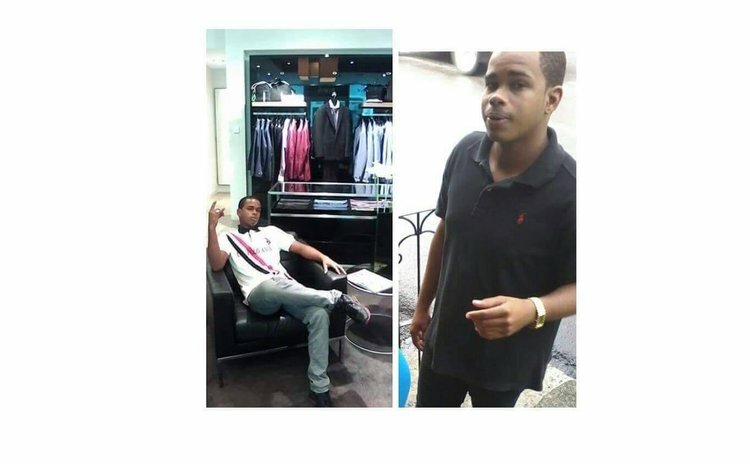 Unfortunately, Agatha said, that although he was loving and caring he was bullied throughout high school, both at the Dominica Grammar School and at the Pierre Charles Secondary School. She said that at one point when he came home from school he told her: "What a young boy in life do to suffer like that" and said constantly that the world was unfair to him. Following secondary school, she said, Gideon searched for a job but got frustrated when he did not meet the requirements of various institutions. Eventually, he went to work with his brother as a florist. "He started working with his brother and there he made up his mind is not that he wanted to do but he put his all working with his brother," she said. She said Gideon always had big dreams and wanted, more than anything in life, to make his parents proud. Hence, he applied to the Youth Training Skills Programme where he graduated dressed in a white and red custom-made suit. His mother noted that while he attended the programme at the Youth Division he worked at Escape Bar and Grill as the bartender in the lounge. "He saved his money, he did not ask us for money; he wanted to save up, he wanted to do his best to open his own business and wanted to become a millionaire," said Agatha. Gideon was born on March 7, 1996 and was the father of two, a boy and girl.